This weekend my husband proved that he is totally barmy. Not only did he marry me 11 years ago almost to the day, but he ran 20k, then hopped on his bike and cycled 77k, and finally creaked and struggled around another 10k to complete the London Dualthon. We didn’t do too much to help, just nip out for Vitamin Water and provisions before we left for the event. It didn’t seem to effect him too much, he even managed a smile afterwards…. We prepared for the event in pretty much the same way we always do, looking after the kids while he trained and making sure he had fuel for getting around the course. This involved a trip into Waitrose to stock up on the carbohydrates and Vitamin Water. All purchases were to give the kids a distraction for the five hours it would take to do the event, and to make sure that the fuel and recovery afterwards would help. No-one wants a hobbling husband, do they? We used the time wisely though, and spent the whole weekend near Richmond, where the event took place. 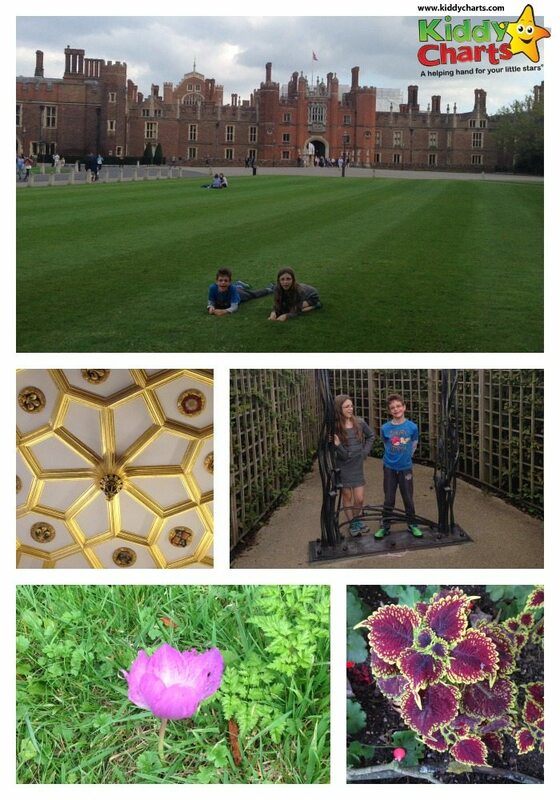 We are members of Historic Royal Palaces, so visited Hampton Court. I think that husband may have been trying to take his mind of having to run and cycle a long way the following day. As you can see, we had a wonderful time distracting ourselves from his impending exertions. However, what we would really like to do for him isn’t quite as simple as giving him the support he needs, or as cheap…we would like to buy him a new “spare” bike. He has had his racing bike stolen twice now. He needs a “second” awesome bike for the training and the slightly less salubrious places that he has to park his bike from time to time. Unbelievably, his bike was stolen from our quiet little station only six months ago. 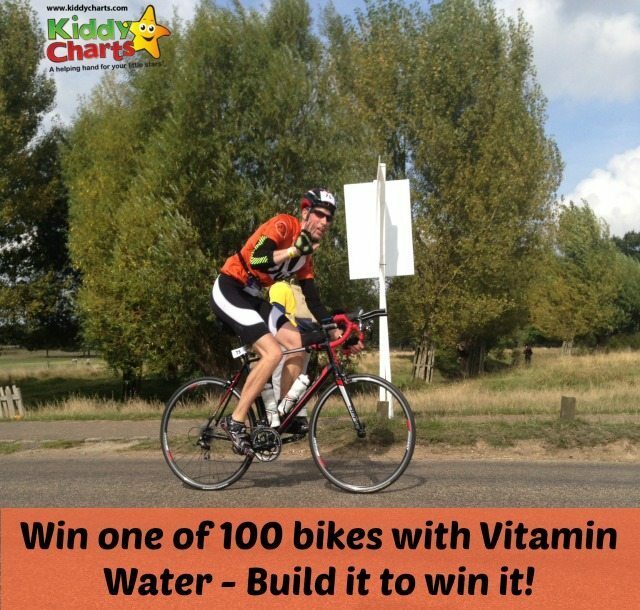 We were therefore rather chuffed to see that we might be able to win a bike with Glaceau Vitamin Water. All we had to do was visit the build a bike website, and then we can choose our own lovely design, and be in with a chance of getting ourselves a Quella bike…not bad right? There are 100 to be given away, and EVERYONE that enters also gets a 25% voucher off a Quella bike as well. You do need to purchase a bottle with the relevant promotional tag on, but they are on offer at Waitrose at the moment; down to a £1 from £1.45 (Sept 15th, 2014). 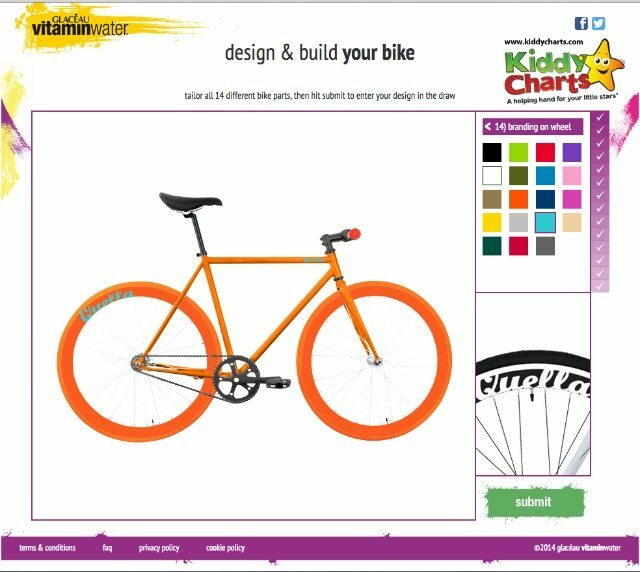 My daughter had a lot of fun entering the competition, and made a couple of bikes…deciding to submit a bright orange one for her entry – what do you think? We think he would look rather fetching cycling about on that – almost as good as this right? After all that effort, he deserves more than just his medals, two of which the kids made for him, don’t you? For the price of a bottle of Vitamin Water, it is well worth having a go – why don’t you give it a try and fingers crossed for everyone. You have until 23rd November, 2014 – so get your wheels on. Full terms and conditions are available on the build a bike site.